White Supremacy works to keep White folks deluded into thinking they are above their sisters and brothers. White Supremacy works to keep Black folks confined to a position of inferiority. How then can we reconcile? “But I don’t believe that I’m superior to anyone!” and “I don’t believe I’m inferior to anyone!” – you might not, but our culture certainly does. How can we reconcile one with another when our society tells White people constantly that they’re better? How can we reconcile our culture reminds Black people constantly of their subordinate status? White people need to humble themselves or be humbled, if we're to have #RacialReconciliation...right? Jesus’ Gospel of humility challenges White people to surrender the idolatry of Whiteness. Christ calls on us to reject White superiority and White privilege. Jesus’ Gospel of redemption assures Black people of their fullest identity as beloved children of God made in the image of God. Only when White folks step-down and Black folks step up can we begin the deep work of reconciling as equals. In this episode, we engage a deep conversation and exploration on themes that need to be embraced in order to achieve true and lasting reconciliation. We need tangible ways to lead our society into reconciled relationship. And these are some of our deepest thoughts toward that end. Yet they still need fleshing out, and that’s where you come in…seriously! So, take a listen to this episode then add your thoughts. What do you think about the role of redemption and humility in reconciliation? How do you think we get humility to be part of the lexicon and praxis of White people. 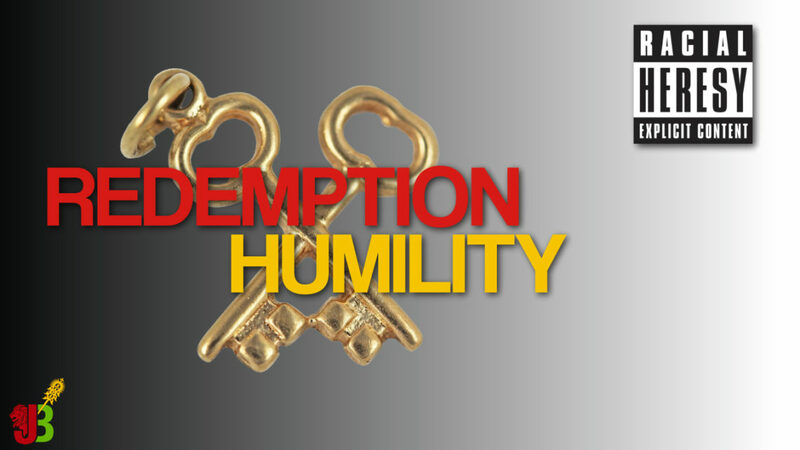 Join the Conversation on Redemption & Humility! Each of the Racial Heresy podcasts that I’ve listened to so far has been helpful, and this interview with the author of “White Fragility” is especially valuable — covering a lot of ground and giving practical pointers to ways of recognizing and then overcoming the racism / white supremacy that is as much a part of US history and culture as the Constitution. Powerful conversation and ministry!! These are the kind of conversations that we need to be having in our lives! This podcast has made me look at race in a way I never have before.